Parks Whopper tomatoes are 4 inches or more across and ripen uniformly even when it’s cloudy. They have a lot of meat to them so that you get more tomato flavor in every bite. The indeterminate plants produce large fruit until frost. Outstanding Features: Resistant to Verticillium Wilt, Fusarium Wilt Race 1 and 2, Tobacco Mosaic Virus and Root Knot Nematodes. 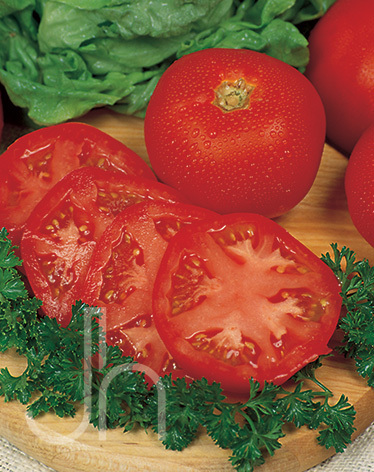 Click here to buy Parks Whopper Tomatoes direct from www.buygardenvegetables.com.